This post aims to provide a helpful summary in response to enquiries from FEAF and DODAF users following the sale of System Architect. Enterprise architects who require a tool which supports FEAF, DoDAF— often used by U.S. federal departments —are understandably concerned by the sale of tools including System Architect. The commitment of companies undergoing M&A processes to supporting both clients and these key frameworks in future has been called in to question. Gartner notes that the sale of System Architect (SA) will have a significant effect on SA customers in the U.S. federal market. 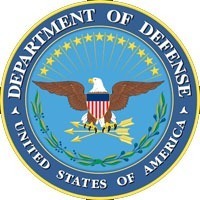 This is because these customers require a tool which supports specific frameworks notably, the Department of Defense Architecture Framework (DoDAF) and the Federal Enterprise Architecture Framework (FEAF). Gartner advises that unless Unicom quickly demonstrates significant commitment to the product, its customers and the market, current and prospective SA customers should re-evaluate their EA tooling needs and assess alternative tool vendors. Can ABACUS import from System Architect? ABACUS has a utility which you can use to import System Architect files. XML exported from System Architect can be imported directly into ABACUS. The importer brings in the GUID, plus other properties that you have in System Architect. It does not require you to have System Architect installed. You can use ABACUS shapes, and import shapes from Visio and other sources, allowing you to configure the look of your diagrams as you prefer. The flexibility of the ABACUS metamodel allows you to configure the types of information directly through the metamodel in the tool. Add and change types, add properties, change icons for consistency, etc. Does ABACUS provide support for FEAF and DoDAF? Yes, ABACUS supports over 100 frameworks and notations, key amongst these being FEAF and DoDAF. These libraries are provided as standard, at no additional cost to ABACUS users. You can find a selection of the frameworks supported by ABACUS here, or if you have a specific enquiry about a particular framework please don’t hesitate to check with us at contact@avolutionsoftware.com. Which of your current clients use FEAF and DoDAF? 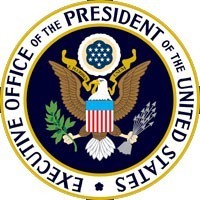 Many of Avolution’s clients in the US federal, state and municipal government use FEAF or DoDAF. There are also some government agencies in Europe and Australia using MoDAF, NAF and DAF, which are all closely related to DoDAF. Our metamodel is based on a standard framework, but is bespoke to us. What can I do? For architects who need a meta-model which is tailored specifically to their business, it’s very straightforward to use ABACUS to adapt a framework including DoDAF or FEAF yourself using simple “right-click” and “drag-and-drop” commands. ABACUS is based on a flexible repository which allows you to avoid “rigid meta-model” problems common with other tools – which often lead to project delays and additional expenses outsourcing meta-model design. Is Avolution committed to enterprise architects? We’ve been working with enterprise architects for over 15 years. Enterprise architecture is Avolution’s “bread-and-butter” and we’re absolutely committed to providing a powerful, stable tool and support over the long term. I’m not ready to switch from my current tool yet, but can you assist me to prepare backup alternatives and migration plans as a contingency. We’d be happy to discuss this with you – please email contact@avolutionsoftware.com and we can run through various options to ensure we tailor a strategy to your particular situation.